Could your parents use some work? Years ago I had a friend stay with me for a few months in my DC home. He moved to the area because he and his girlfriend were taking their relationship to the next level. He wanted to be close so they could spend more time together growing as a couple and she worked in the DC area. As their relationship progressed, it was important to them that they involve her father in the process. The problem was that she didn’t have the best relationship with her dad. He hadn’t been the best role model for her, was rarely present and they didn’t share the same values. My friend’s girlfriend wasn’t sure how it would all turn out, but they agreed together to involve him in their relationship. He reported, “When we set to honor her dad by including him in our relationship, at first he was very abrasive, but in the long run, it was extremely healing for both.” Not only did their relationship improve, but the demand on him to step into this role pulled the best out of him and helped him become a better father. Now this couple is married with kids and they enjoy a fulfilling relationship with her father. I’m noticing – even as a young parent – when my need for honor is met, it pulls the best out of me. When my daughter asks me questions about God and relationships and her heart is wide-open to learn from me, I get serious about what I say. I don’t take it lightly. I know that my words are shaping the belief system of another person. It’s a big responsibility. Many times I have to analyze my own motives and beliefs to make sure I’m giving the best response. I think this is a universal response of healthy parenting. While dishonor may cause a wounded parent to exert control and irrational behavior toward a child, honor will often cause them to take a new posture. When a child communicates that they value their parents and they want to learn from them and have their input into their lives, parents will rise to the challenge. They’ll start weighing their own motivations and thought processes, searching for jewels of wisdom to pull from their own journey. 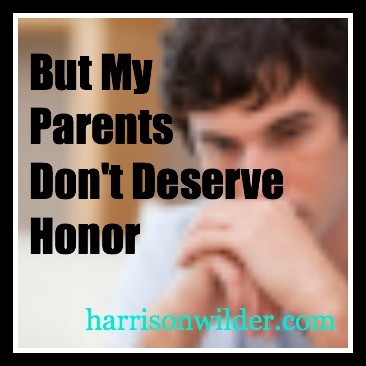 Dishonor may cause parents to live defensively about the choices they’ve made, but honor will cause them to examine their choices and help their children make better ones (tweet this). When the relationship is no longer about parents fishing for their own need of honor to be met – when they are secure that they are valued – the weight of that position will drive them to be the best parents (role-models, advisers, confidants) they can be. 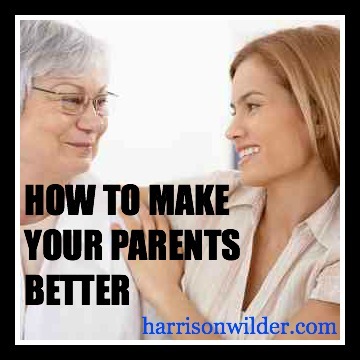 In what ways could your parents be better? How do you think honor could help? Check out this story from the Book of Genesis. Noah’s son, Ham, finds his father naked and drunk in his tent. Ham dishonored his father by telling his brothers, so that they could all make fun of Noah together. Ham’s brothers chose to honor their father and covered his body. They went so far as to make sure that they didn’t even see him, walking backwards with a blanket toward him. Clearly, this was not Noah’s shining moment. And while his actions that day were not worthy of honor, two of his sons purposed in their hearts to honor their father anyway. They even covered up their father’s moment of weakness and their eyes so they wouldn’t see it. Scripture encourages you to value your parents, setting them up to be influences in your life, whether they deserve it or not! Seems crazy, right? But, God knows what He’s doing. He knows parents and teachers won’t be perfect, but He wants them valued anyway. With children of my own, I’m beginning to see how important this will be for their future. When I mess up, I’ll need them to be able to overlook it and still look to me for wisdom and guidance along the way. If they don’t, they’ll miss out on the good stuff I actually do have to offer them. 1.) Honor is For Minors: The commandment to honor does not expire with age. Fortunately, neither do the benefits. In fact, they grow richer as you grow older. You can initiate The Honor Cycle at any age by choosing to put value on other people. 2.) Honor is Earned: You don’t have to wait for a perfect person to earn your honor. Parents can be valued simply for being your parents, with no conditions. Withholding honor, even for legitimate concerns, only isolates you from the blessing that practicing honor brings. 3.) Honor is an Action: This is an important distinction. Honor is not an action. Honor is a decision of the heart. It will produce action, but at its core honor is simply choosing that someone else is valuable. You and I aren’t perfect. Do we ever need people to overlook our failures and value us anyway? communication, feelings, honest, honesty, Honor, Honour, Leadership, What is honor? Does honor require us to stuff our feelings down and never communicate how we really feel? Or is it possible to have healthy communication that allows us to express feelings and keep an honoring posture? Not long ago I met with a young adult at our church to discuss an email he had sent to our Lead Pastor. I wanted to help him see how the tone of his email was hurtful and dishonoring. He explained to me that he believed the most honoring thing he could do was to share his feelings in a straightforward manner, in the same way he would to a peer or friend. In his mind, he would do a disservice to the Pastor by toning down his harsh rhetoric. This young man was missing the point. By sharing his feelings in “the same way he would to a peer or friend,” he demonstrated that he placed no special value on the relationship with his pastor. Honor is not about catering to the emotional needs of others, but rather making an effort in every communication to value, respect and give weight to their position. When you value someone, you communicate with them as if they are special. It’s okay to give them the special treatment. Actually, that’s the point! 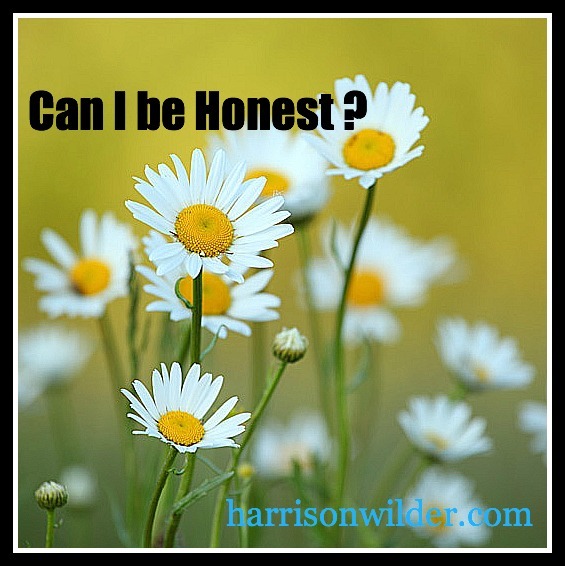 I believe you can be honest and forthright about your feelings and emotions and still keep a posture that honors. It will take special care, thought, and a greater time commitment, but your willingness to do that will go a long way in communicating honor to your parents, bosses, and spiritual leaders. Set aside adequate time for communication. Be willing to invest emotional energy. Calm down. Deal with your anger and offense first. Don’t make negative assumptions about motives. Ask Questions. Seek to Understand before being Understood. Communicate how their actions make you feel, not how they need to change. Consider that it may not be your place/role to give critical feedback. Make it clear how much you value them. How about you? What tips can you share for communicating honestly with honor? My dad lost his father to a heart-attack when my dad was just 18 years old. The childhood memories that he has are the only guiding force of experience that his father was able to leave him. He didn’t have his father to talk to him about how to be married or how to raise children, how to manage finances, be a responsible citizen or a successful businessman. He learned the value of that input because it wasn’t always there for him. If you were my father, how would you go about raising your children? I’d expect you’d try and teach them as much as you could from your own experience while you were still with them. 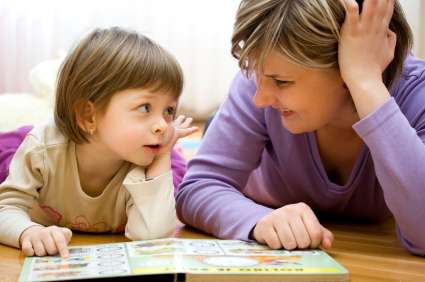 Imagine your surprise to find your child doesn’t look to you for input and wants to learn everything for himself. That can be hurtful for a parent, but really it’s the child who misses out! I think about how happy my father still is to teach me everything he knows about, well, everything!. He’s delighted to teach me all the skills he’s learned. 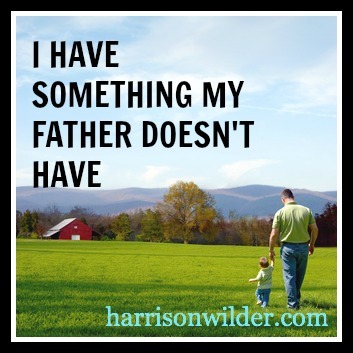 Honoring my father positions me to benefit from a whole life that is before me. I’m lucky my father is still with me through these years of my life. Accessing and learning from my parents’ experience can set me up for success far beyond what I could hope to do on my own. 1.) Successes: Chances are your parents have done something right along the way. They made a good choice that paid off. They avoided some disaster that others fell into. Maybe they discovered a perspective on life that has kept them happy or made them prosperous. Honor will help you learn from their success. 2.) Failures: Even if your parents have never made a good choice, they still have a world of experience to offer you. Trust me, they know where they’ve screwed up. And I bet they don’t want you to take the same path! Honor will help pull out of them the lessons they’ve learned from their failures. 3.) Knowledge: Wouldn’t it be a shame if every generation had to learn everything for itself? We would have to discover every invention and insight into our world all over again every generation. While that may seem ridiculous, it’s often the approach we take toward our parents. Honor, however, will help us build on the foundation of knowledge they’ve already established. 4.) YOU: That’s right! Nobody has had more experience with you than your parents. Sometimes you need to step outside of yourself to understand why you are the way you are. Parents see things about you that you don’t comprehend on you own. Honor will open up this well of experience and help you understand the greatest mystery of all…yourself! How have you benefited from your parents’ experience? How do I Honor my non-Christian parents? 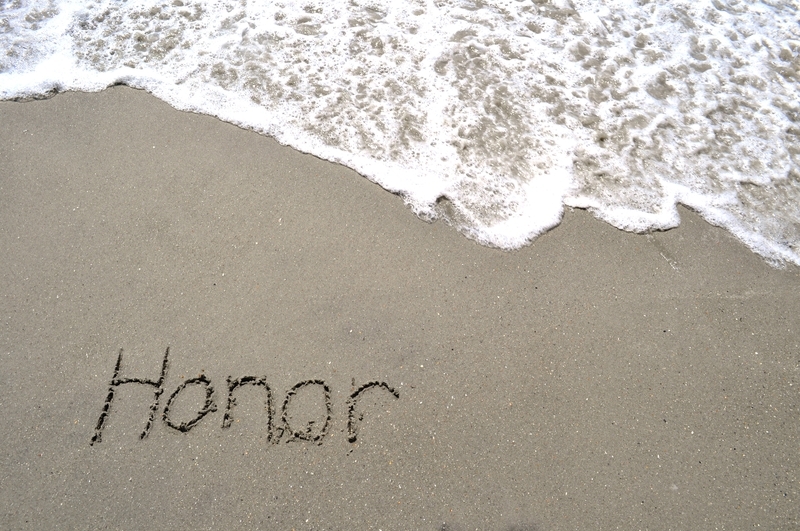 I was speaking on honor at an event a few weeks ago when I noticed a young lady quietly weeping during the message. It was obvious something was heavy on her heart, so I talked to her about it when the event was over. She really wanted to experience the benefits of an honoring relationship with her parents, but was having a difficult time reconciling that with the fact that they didn’t share her Christian beliefs. If honor means to place value on another person, how do you value the input and ideas of people who don’t share your beliefs or system of values? 1.) Seek out advice. It’s true – you may not be able to use everything they say, but it doesn’t have to stop you from asking. Just taking the time to ask for input on decisions you’re making communicates a lot of value to the person you want to honor. 2.) Really try to understand that advice. Even if you disagree, don’t just assume their advice is coming from a poor system of values. Dig a little deeper. Try to understand their perspective. The goal isn’t to agree. The goal is to understand. 3.) Compare and contrast points of view in open dialogue. After taking time to truly understand their point of view, talk about how your view of the situation is different. Take time and care with this step. Give them a chance to understand you and offer critique of your perspective. 4.) Leave an open door for further input. In many cases it’s OK not to act on the advice of people who offer a different set of values. If you want to honor that person, though, don’t slam the door on them. Purpose to value and weigh their input in future decisions. It’s not the easy road…but it will add so much value to your life. If this post has interested you, you may also enjoy “My parents are controlling. 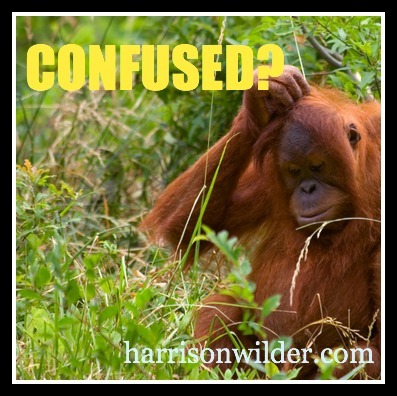 What should I do?” which gives more perspective on how to honor when not obeying. How about you. Have you ever faced a parent or someone with opposing values that you wanted to honor? How did you handle it? It’s the big day! “More. Better” is here! Get your bonuses TODAY! Today is the big day!! My first published work is finally available. You’ll have access to the best knowledge these proven business experts that have co-authored this book have to share. Buy the book now, then just send your receipt to bonus@celebritypresspublishing.com and you’ll get all the bonuses! Know someone else you’d like to share this with? Please help us have a great launch by sharing this page with your friends. Thanks for your support! Enjoy the book! There is a sense in which sexual sins are different from all others. In sexual sin we violate the sacredness of our own bodies, these bodies that were made for God-given and God-modeled love, for “becoming one” with another. Or didn’t you realize that your body is a sacred place, the place of the Holy Spirit? Don’t you see that you can’t live however you please, squandering what God paid such a high price for? The physical part of you is not some piece of property belonging to the spiritual part of you. God owns the whole works. So let people see God in and through your body. Now, getting down to the questions you asked in your letter to me. First, Is it a good thing to have sexual relations? Certainly – but only within a certain context. It’s good for a man to have a wife, and for a woman to have a husband. Sexual drives are strong, but marriage is strong enough to contain them and provide for a balanced and fulfilling sexual life in a world of sexual disorder. The marriage bed must be a place of mutuality – the husband seeking to satisfy his wife, the wife seeking to satisfy her husband. Marriage is not a place to “stand up for your rights.” Marriage is a decision to serve the other, whether in bed or out. These are people hiding behind cloaks of “honor”. This perverted idea of honor has been paraded as the real deal. And for the most part, nobody buys it anymore…and rightly so! A deceitful show of honor only leads to emotional hurt. It leaves you feeling powerless and often causes you to hurt others. You sense that this is not what true honor is about. As a result you may have fled in the opposite direction. What do you think is the true nature of Honor? 1.) What does Honor look like today? 2.) Should every generation start from scratch? 4.) I’m an adult now. Why should I listen to my parents? 5.) Young Adults – Are we up for the challenge? Remember when your parents knew everything? It’s like we go through cycles in how we see our parents. For so long – as young children – we think they know EVERYTHING. Then one day they neither understand or know ANYTHING. Then, years later, it turns out they DID know everything! What treasures of knowledge and wisdom have you found in your relationship with your parents?